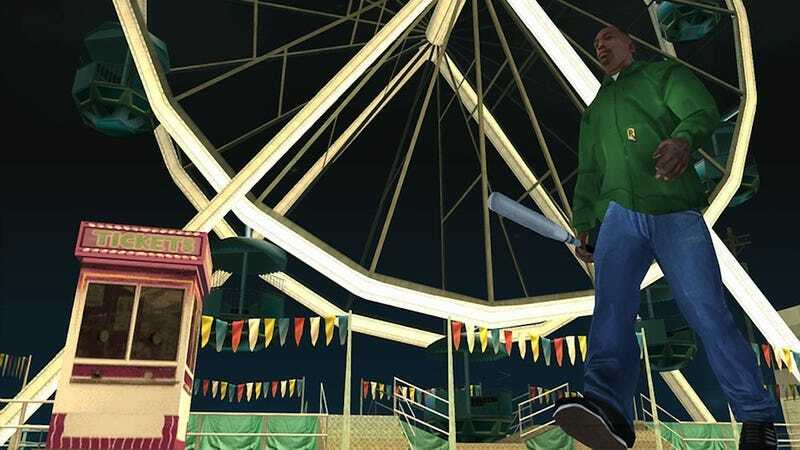 We knew a 720p graphically improved version of Grand Theft Auto: San Andreas was hitting the Xbox 360 this weekend to celebrate the game's 10th anniversary. We didn't know it would cost under $4. When I first came across the listing for the game on Xbox.com I was confused by the price — was this just the original release? I purchased it for myself, but I have no idea where my Xbox 360 power cable is to verify. Finally I stumbled upon a stream from Twitch user Gtchy1230, who confirmed the 720p version he was streaming was purchased from the Marketplace for $3.74. It's a very odd price, which leads me to believe it's either some sort of mistake or a limited-time promotion, so if you're interested, now's the time.